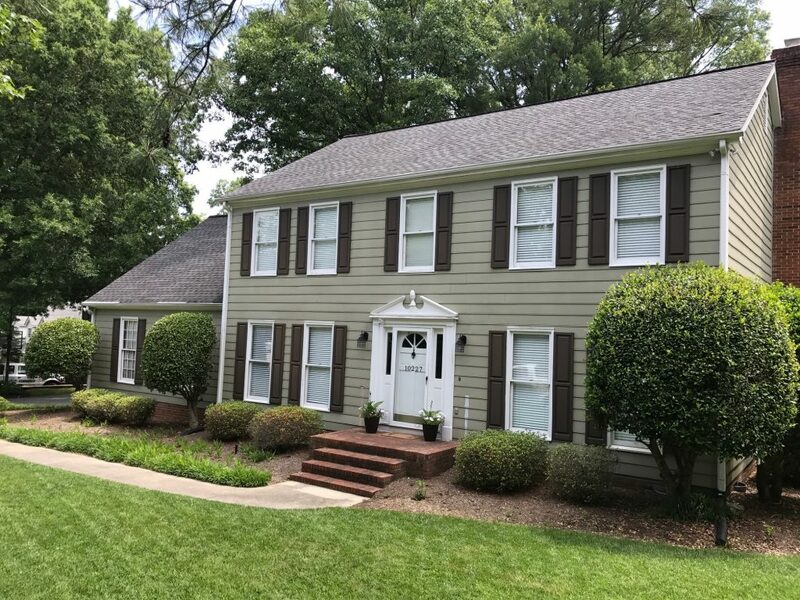 This South Charlotte home gets new siding and windows -- adding tons of curb appeal! 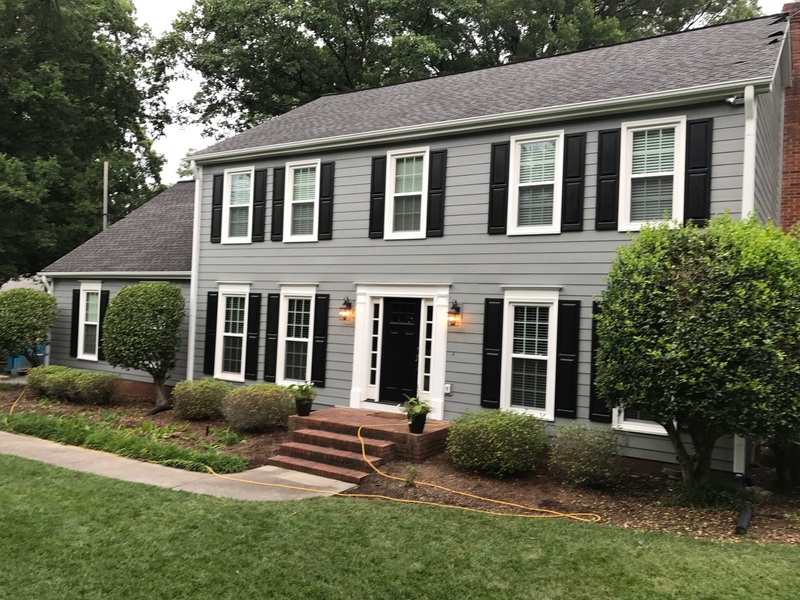 This South Charlotte home gets new siding and windows — adding tons of curb appeal! 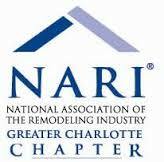 Home » Blog » This South Charlotte home gets new siding and windows — adding tons of curb appeal! One of our most recent home exterior projects takes Belk Builders to South Charlotte. The project included a full window replacement along with a full exterior siding replacement. Projects of this magnitude greatly increase not only the efficiency of your home, but also increase curb appeal and beauty. 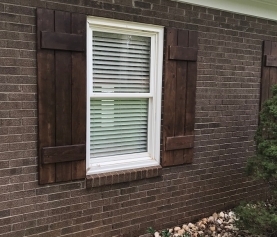 Completed HardiePlank siding, new windows and updated shutters — WOW! 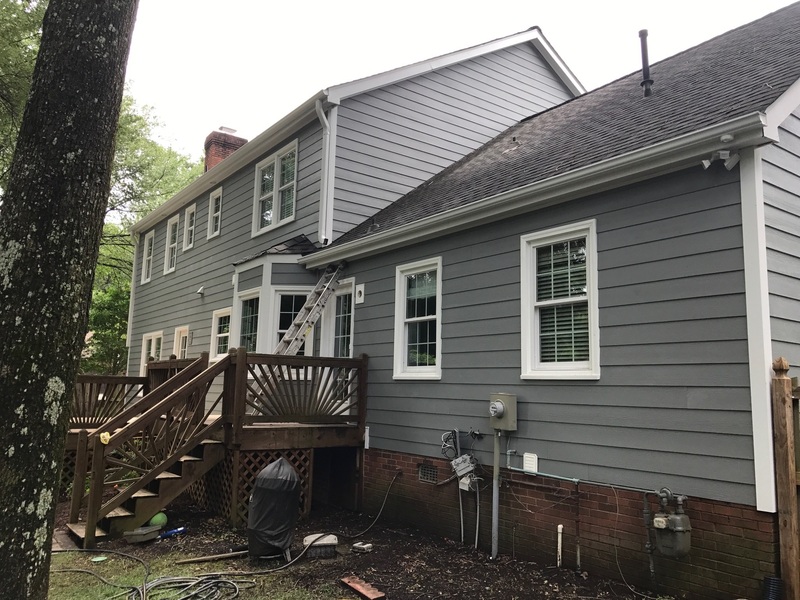 We installed HardiePlank siding to this home because taking pride in the look of your home and confidence in the materials in which it is shielded from the elements is the end result Belk Builders strives to provide each of our clients. From the first year to years later, the beauty of HardiePlank siding is unrivaled. Because it’s created to stand up to the demands of virtually every climate, James Hardie siding stays beautiful longer, reducing time and money spent on maintenance. Unlike other siding materials, it can resist expansion and contraction, retaining finish adhesion over time. In addition to the new siding, Belk Builders also installed all new Simonton replacement windows to the home. Simonton is the #1 choice for replacement windows by homeowners all across America — and for good reason! Not only is Simonton the leader among aesthetically pleasing, innovative designs that include they also have the highest ratings in energy-efficiency and endurance! Simonton’s broad selection of window shapes and sizes, each with the durability and ease of use Simonton is famous for, makes them exceptionally appealing to homeowners with a multitude of tastes and needs. With nearly 70 years of experience in building windows, Simonton has successfully perfected window craftsmanship. View of the back of the home while our crews finish the new siding. All of the beauty and benefits of this home exterior project were topped off by giving the homeowner’s charming shutters a fresh coat of paint! 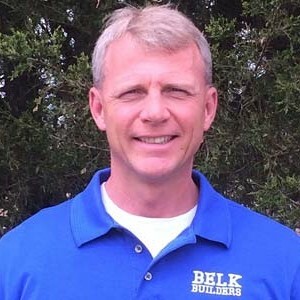 If you are considering an exterior home upgrade such as replacement siding, windows, roofing or even converting an existing space into a multi-functional asset to your home — contact Belk Builders. We are the Charlotte area’s complete home exterior company that goes over all the available options and details of your project in detail. We offer all-inclusive options for your exterior project, or we can recommend the best time to take care of your finish details in stages to accommodate your budget and lifestyle needs. We also offer additional finishing services, such as custom vinyl board & batten trim replacement, shake siding and shutter installation…all of which adds character and value to your home. If you are ready to learn more about our quality menu of exterior home renewal services please call us at (704) 400-4710 or via email at info@belkcustombuilders.com.